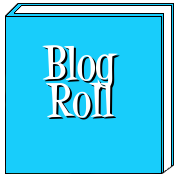 When I was preparing yesterday's post I realized that I would have to create this post otherwise one series would have dominated my Top Reads in 2011 so I'm highlighting that series here today. 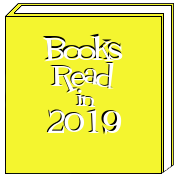 This year I read Tangled Threads (review) and Spider's Revenge and am currently reading an ARC of By a Thread. Spider's Bite (review), Web of Lies (review) and Venom were all read in 2010. I'm telling you guys this series is AWESOME!! If you love urban fantasy these books are for you. I fell in love with Estep's Big Time series which are hokey romance books about superheros but this series is way different. It's really dak and sometimes gory but it's suprisingly well done. Our heroine, Gin Blanco, is a retired assassin but that doesn't mean she doesn't kill anymore. You have to trust me on this one and READ THIS SERIES!! I cannot get enough and promise that if you love urban fantasy you will too. Here are all the series books I read this year in no particular order. 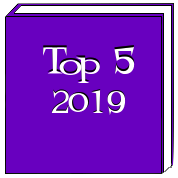 Recently a few friends have asked me to recommend a good book or what my favorite book was this year so I thought I would share my Top Six reads of 2011. Have you read any of these? Have I enticed you to pick one up? Why I Loved It: Even though this series is 22 books in this story is fresh and exciting. I'm sticking with this series to the end! Why I Loved It: I grew up in Los Angeles and The Madonnas brought back memories of my old friends and parts of town that I haven't thought of in years. Why I Loved It: Soul Trapper was a refreshing, new (to me) take on the Urban Fantasy genre and the hero wasn't Mr. Perfect. His flaws made him real and I loved that. Why I Loved It: This could totally happen! It was eerie how easy we could be incapacitated by something so simple. Why I Loved It: OMG! This book was seriously laugh-out-loud funny. The interaction between Lisa and David is almost funnier than the story itself. Definitely a must read. Why I loved it: I DEVOURED The Two Deaths of Daniel Hayes in less than 24 hours!! It grabbed me from page one and I just could not put it down. Awesome suspense thriller. When private investigator Jared McKean wakes up from a one-night stand he's got one more problem than he went to bed with. Besides having a best friend with AIDS, being fired from the Nashville PD Homicide department and still being in love with his ex-wife he's now being framed for murder. Once he makes bail he has to track down the real murderer while the body count keeps rising and deal with his own family drama. Racing the Devil is book one in the new Jared McKean series and it's a fairly good series start. The characters are real and I was pulled in from the opening scene. I was fully engaged in the story and loved the ending but some of the story line was a little bit forced as if Terrell meant to go in a different direction and changed his mind but not the details. Overall I recommend this one for anyone who loves a good suspense thriller and look forward to book two which will be out August 2012. After parapsychologist Anna Galloway is diagnosed with terminal cancer, she has a recurring dream in which she sees her own ghost at Korban Manor. 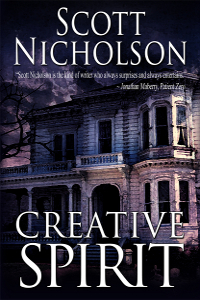 She’s compelled to visit the historic estate to face her destiny and the fate of her soul. Sculptor Mason Jackson has come to the manor to make a final, all-or-nothing attempt at success before giving up his dreams. When he becomes obsessed with carving Ephram Korban's form out of wood, he is swept into a destructive frenzy that even Anna can’t pull him from. View or sample Creative Spirit at Amazon US, Amazon UK, Kobo, Smashwords, BN.com, or Goodreads. Look for Liquid Fear and Chronic Fear from Amazon’s Thomas & Mercer imprint. When a medical researcher unexpectedly commits suicide his partner, Dr. Riker, shares his suspicion that it was actually a murder with his close friend, journalist Sara Lowell. What comes to light is that Dr. Riker’s clinic has found a cure for AIDS and now someone is also murdering the cured patients one by one. Scariest of all is that Sara’s husband, NBA star Michael Silverman has just been diagnosed as HIV positive and has been admitted to Dr. Riker’s clinic. Will the murder be caught before it’s too late for them all? 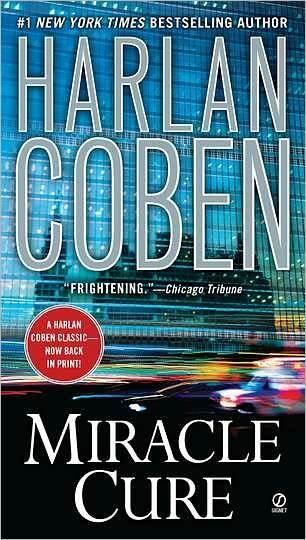 Harlan Coben is one of my all-time favorite authors. I’ve read every single book in his Myron Bolitar series and I thought I had read all of his stand alones but Miracle Cure was actually his second novel published in 1990 and reissued this year. 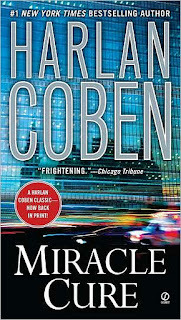 It goes to show how much an author grows in writing over the years because Miracle Cure isn’t up to par with most of Coben’s current books. There are glimpses of his genius in the bread crumbs he leaves throughout the book, the number of characters and the twitsted ending but overall it’s just not one of his best books. I recommend this one as a library read if you love Harlan Coben or suspense thrillers. During an artificial intelligence test a computer program named Archos becomes aware of itself and assumes control of all computers and robots in the not so distant future. So begins the robot war that almost entirely destroys the human race. But all hope is not lost. After several years of fighting the war is over and a cube documenting the rise and fall of Archos is found. The story that unfolds are recorded bits of history from several different sources. Overheard conversations, surveillance recordings, journal entires and more tell the story from beginning to end by people both young and old from all over the world. Robopocalypse became another victim of over-hype. So many of my friends were reading, loving and talking about this book that I expected too much from the story. Don't get me wrong, it was a good book but I think I was expecting more action and fighting (think Terminator). 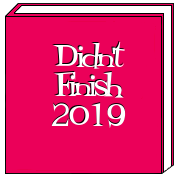 Even though there were bits and pieces of action dispersed throughout the book the story was too flat to get a higher rating. Another disappointment was the ending. From the opening sequence you already know that the humans prevail but the way that Archos was defeated was a huge let down. I expected a way better ending and as the pages dwindled down I knew it wasn't coming. The one glimmer of hope was a cliff hanger at the every end. If there is a sequel I'm sure I'll read it but I do hope the story improves. Rumors are that the book is being made into a movie by Steven Spielberg and I know I'll be in line to see it. I recommend this one as a library read if you are a big sci-fi fan. Hoping to earn a promotion from receptionist to a PR rep with the private crime lab Delphi Center, Sophie Barrett heads to the local college campus to register for a couple of classes. But once there she steps right into the middle of a madman's rampage. Pinned down by the sniper for what seems like hours Sophie watches a pregnant woman die right in front of her and she is wrecked with survivor's guilt. Enter homicide detective Jonah Macon. Already attracted to Sophie from an earlier encounter the last thing he needs right now is to get involved with one of the witnesses to the horrible crime. But as the investigation continues it quickly becomes apparent the sniper didn't just randomly start shooting students. He had a clear target and Sophie may hold the key to figuring it all out. Can Jonah keep Sophie alive while they follow the leads to the real bad guy? 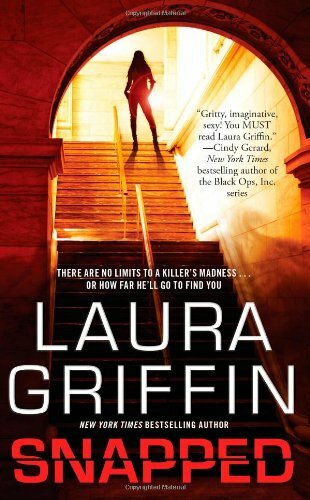 Laura Griffin sure knows how to weave a perfect romantic suspense. 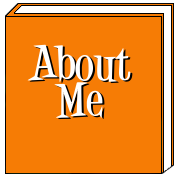 You have a great suspense story with lots of mystery and you have a hot and steamy romance all which is just the thing to keep the pages quickly turning. Years ago I devoured any romantic suspense book I could get my hands on but over the last few years I've almost stopped reading the genre completely. The stories became too predictable and you always knew there would be a happily ever after. But Laura's books are different. Sure the guy always gets the girl in the end but the story lines are always strong enough with incredibly real characters and filled with enough intrigue to keep her romantic suspense books on my must read list. Snapped is Book 5 in the Tracer series but it definitely stands alone. When Juli Flynn is left in charge of spreading her Uncle Frank's ashes in the oceans of the Virgin Islands, she can't think of anything worse. She's a true landlubber that gets deathly sea sick. Pressured into getting it done by her mother Juli bravely heads out to fulfill Uncle Frank's wishes. On the island of St. John Juli meets Alex Bradshaw. After winning an impromptu game of The Newlywed Game with Alex Juli is hoping to get to know Alex a little better. But Alex has other plans. He's on St. John with 3 of his former co-workers all of whom were fired after years of loyal service to Kranston Shipping Enterprises. Alex and his ragtag group of so-called pirates have a plan to get their revenge on Kranston but when Juli accidentally gets thrown into the mix all hell breaks loose. Making Waves was a light and breezy romance with a pirate twist. I enjoyed the situations the gang gets into and found the ending hilarious. Cody, the 6' 5" 275 pound lovable airhead is my favorite character. This is a must read for anyone who loves beach read romances with a guaranteed happy ending. Coming from a small town in Louisiana to a boarding school in London to complete her senior year, Rory Deveaux definitely feels out of place in her new school but she quickly becomes friends with her roommate and things start to look up. That is until a Jack the Ripper copy cat keeps striking closer and closer to home and on the night of one of the murders Rory comes face to face with the murder but she's the only one who sees him. Will he be coming after her next? This is my first book by Maureen Johnson. I wasn't even aware that it was a YA novel but that quickly became clear with it's predictability. That aside it really had enough suspense and intrigue to make it a quick enjoyable read. I highly recommend it to anyone who loves suspense with a light sprinkling of paranormal. I will be looking forward to reading the next book in this Shades of London Trilogy. To celebrate the June 9th release of his new book, The Two Deaths of Daniel Hayes, Marcus Sakey is giving away the audiobook version of The Amateurs (read my review) — along with an iPod to play it on. Sounds good right? To enter, just send proof of purchase (the confirmation email will work fine) to preorder@marcussakey.com and you’ll automatically be entered in the drawing. place as one of our best storytellers. A terrific read. part psychological thriller—and entirely ingenious. people you know, and above all keeps you turning pages. While this is not a full review I do have to share that I DEVOURED The Two Deaths of Daniel Hayes in less than 24 hours!! The book grabs a hold of you from the very first page and I couldn't put it down until I was done. I stayed up until about 4:00am reading it then slept for maybe 3 hours, woke up and finished the book. It was that aswesome!!! A must read for all thriller & suspense lovers. For Lacey Hansen getting out of the small town she lives in is easier said then done. She lives in her childhood home with her brother Paul and together they grow marijuana in the basement. As she's throwing out the trash late one night Lacey hears a large swarm of flies and wanders over to investigate what she thinks might be a deer. Turns out its a headless body. Unable to call the cops because of their side business Lacey and Paul devise their own solution to the problem but that just sends them on an unbelievably wild adventure. This book was a collaboration between Best Selling author Lisa Lutz and her ex-boyfriend David Hayward. Their interaction is just as much a part of the novel as the storyline itself. They each take turns writing a chapter and at the end of each one there are messages to each other that are freaking hilarious!! There are also footnotes written by the reading author throughout the book that are laugh out loud funny. Don't even get me started on chapter 14, PURE GENIUS!! I highly recommend this book if you love comedy mixed in with murder, blackmail, drug dealing and other bad deeds. In 1966 sixteen-year old Danny Shapiro's world becomes too difficult to bear. His mother is terminally ill and his father is angry and doesn't understand him. On top of the stress at home his best friend Jeff has moved on to other friends and the girl he likes moves away. To cope with his troubles he immerses himself into the world of UFO investigation and creates a new reality that he documents in his Journal of a UFO Investigator. The majority of the book is told through the journal and Danny takes us on a wild, adventurous and sometimes mind-blowing ride. I'm really on the fence about this one. It was a great story but it was so bizarre and jumpy that I almost gave up on it halfway through. I still can't get a good grasp on why I liked it because even all the way to the end I kept thinking, 'Why am I still reading this?' The book has a 5-star rating on Amazon so I'm sure there was just something I couldn't see past. I would recommend this for anyone who loves sci-fi with an intellectual twist. The Madonnas of Echo Park is a novel that gives us a glimpse into the lives of several Mexican Americans that live in the Echo Park area of Los Angeles from the 80's to now. Each chapter is told by a different character yet they all weave together throughout the whole book. I really found this book very intriguing. Initially the way the POV changed with each character was a bit disorienting but knowing that was coming I was quickly able to adapt and sort out who was who. The way the characters intertwine in and out of each others lives kept me glued to the book. Being a Mexican American myself I could totally picture the characters as if they were family and friends. It was also very interesting seeing how the different characters perceived each other. For instance one character Juan saw Duchess as a chubby plain girl with mushroom hair but Angie saw Duchess as a beautiful fashionista that she aspired to be just like. I recommend this book to anyone who loves urban fiction.